Personalized hand care treatments including nail shaping, cuticle care, hot towels, massage and polish. With gel-like shine and durable wear up to 4 weeks , It's a great alternative to traditional Gel manicure with no light curing, this chip-resistant powder gives a protective overlay on the natural nail with perfect color. 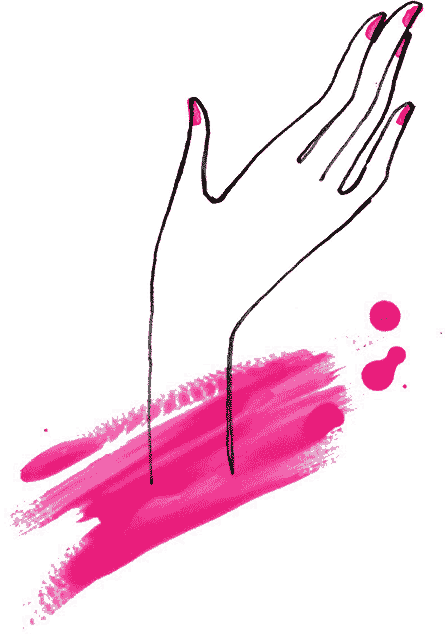 Our luxurious spa manicure is the most pampering and beautifying of the treatments your hands can receive. Includes our softening paraffin treatment, a luxurious neck, shoulder, arm and hand massage and polish. This signature service combines aromatic soak, trim, shape, cuticle maintenance, buff, callous removal, exfoliation with organic sugar scrub, extended foot massage, hot towels and polish. Could life get any better? This amazing classic pedicure is followed with warm stone massages. The hot stones are used to massage away tension and relax your tired feet. Our luxurious Spa pedicure is the finest pedicure in the Wilmington Delaware area. Start with a soak in Marine Sea Salts, followed by toenail shaping, cuticle grooming, callous removal, aromatic exfolitation hydro-masque, aromatherapy oil massage and polish.